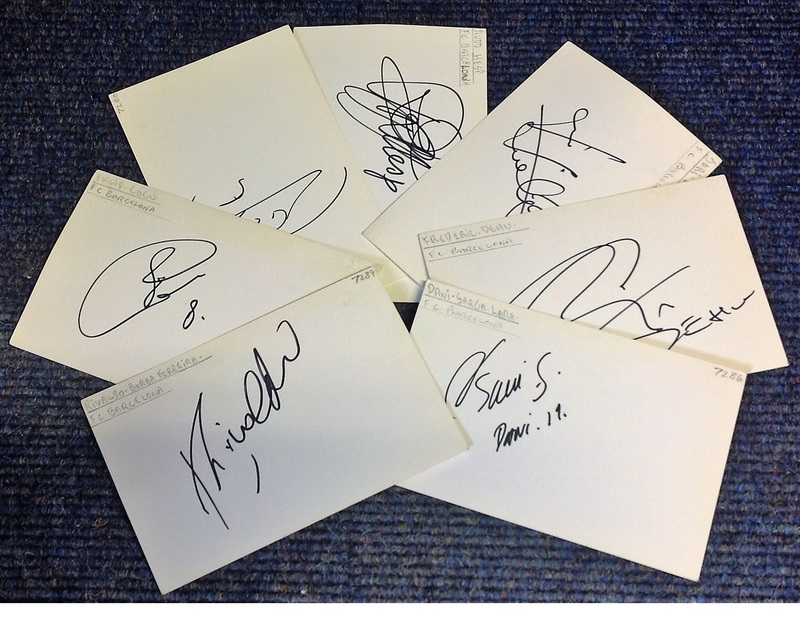 Football Barcelona collection seven 4x6 signed white cards from Barcelona players of the past includes Dani Garcia, Philip Cocu, Frederic Dehu, Jari Litmanen, Abelardo Fernandez, Rudd Hesp and Rivaldo. Good Condition. All signed pieces come with a Certificate of Authenticity. We combine postage on multiple winning lots and can ship worldwide. UK postage from £3.99, EU from £5.99, Rest of World from £7.99.